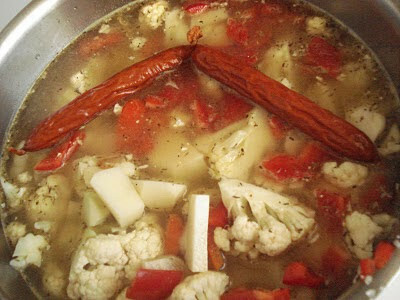 Add the remaining vegetables, and broth. Cook about 20 minutes till all the vegetables are tender. Puree if you have an immersion blender (my favorite, so much less clean up than a blender). Add the milk or cream. Stir in the cheese. 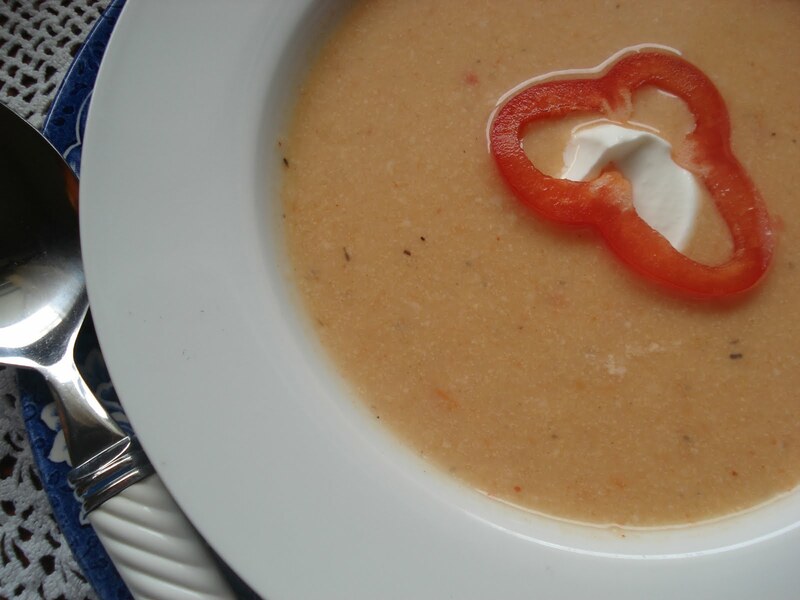 The stronger the cheese the more flavorful the soup. what a wonderful soup!! I do love an immersion blender, they make life so much easier! 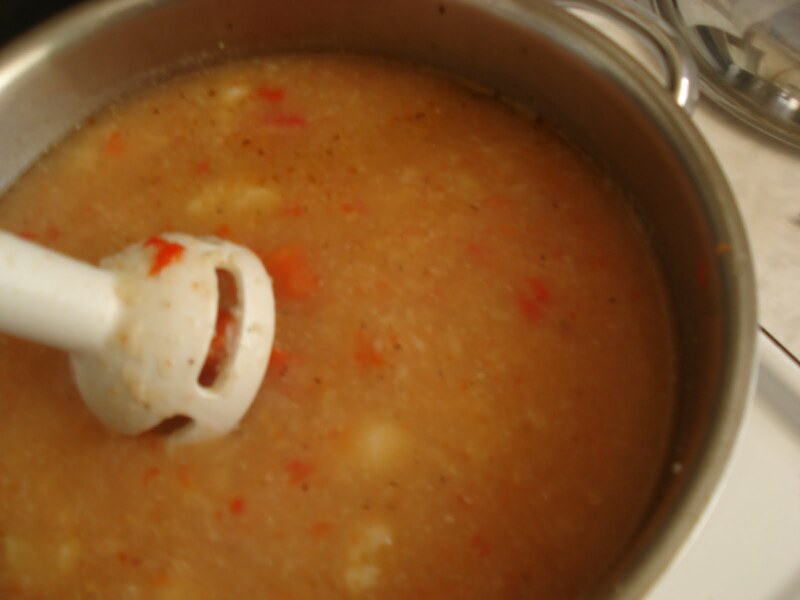 My niece used to work at a lovely little local restaurant and when she finished working there, she told approximately how they made their red pepper soup. She didn't have quantities but I got the general idea. Then I added and subtracted things and made up some quantities for myself. The result was what I considered to be my very own red pepper soup. Alas, yours is very close to the same!! Obviously we are kindred spirits when it comes to the kitchen. I don't use cauliflower and instead of the curry I use chili powder. The quantities vary too, but I sure do want to try your recipe now. Have a great day Charlotte! Thanks for sharing! 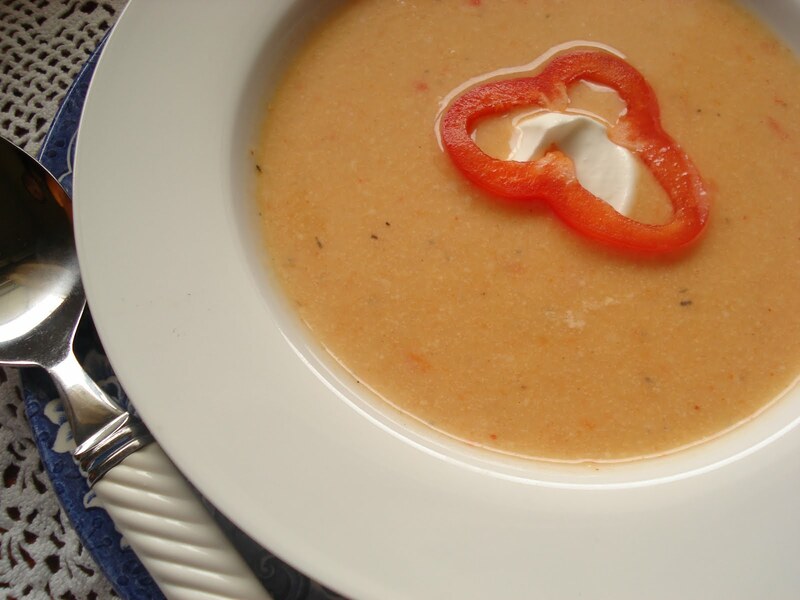 I need that blender, this soup looks great - red pepper is one of my most favorite flavors. 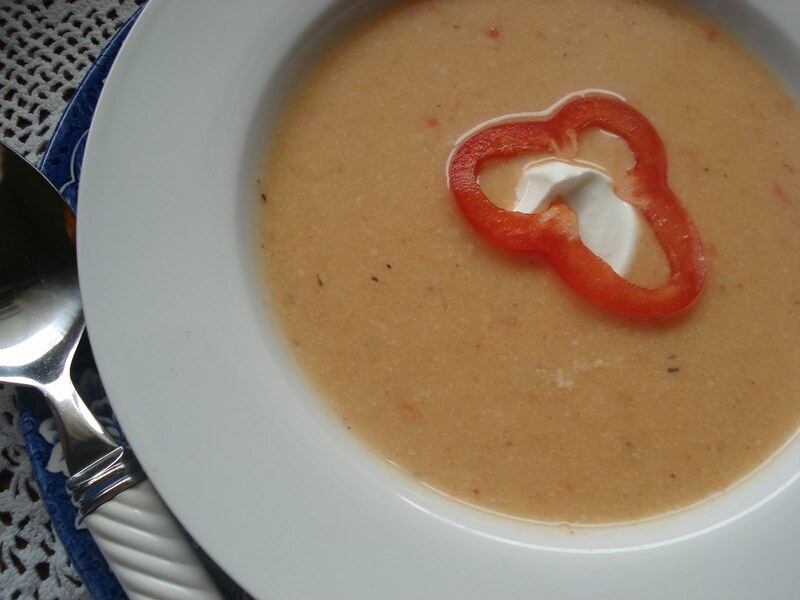 I love soup and this looks very tasty Charlotte!! Yes, I love my immersion blender! It's great for dealing with lumps and bumps of any kind. My granola and yogurt are lonely; this looks delicious! I need to get an immersion blend, sounds like a cool tool. When do you add the farmer sausage?